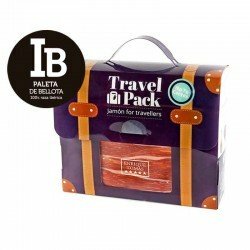 The Iberian ham from Salamanca has a totally different taste to the ham from Huelva, but to be able to distinguish them you have to get to know them better, and there is no better way to do it than tasting them all at the same time with some of the savings packs that we have at Enrique Tomás! 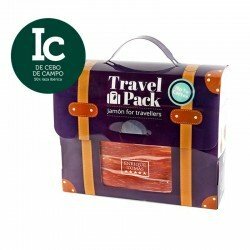 These packs are made up of sliced products from the four Iberian ham origins and are perfect for you to try one slice of ham after another, so you can immediately notice the nuances between the different origins. As the experts we are, we can assure you that ham from Cáceres/Badajoz has nothing to do with ham from Huelva, for example, but since you want to see for yourself, Enrique Tomás offers you the chance to do it for yourself! 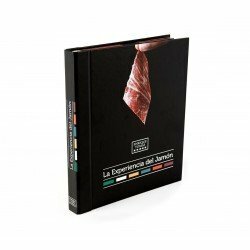 This book is the same as the previous packs, that is, it also allows you to taste the different types of ham according to their origin. But what's so special about it? Well, it's the only book in the world that you can eat! It is not only composed of the slices, but in fact it is a dossier with information on each of the origins accompanied by each of the hams mentioned. You're going to learn about ham while you devour and enjoy our country's star food product! 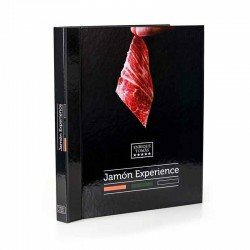 With the previous packs we offer you the possibility to taste the ham of the different variants and with these you have another option, to taste all the flavours of the same origin, that is to say, in a single pack you have chorizo, salchichón, lomo and ham from Salamanca, Huelva, Cordoba or Caceres/Badajoz. Whichever one you choose, you'll be amazed because they're all top quality! 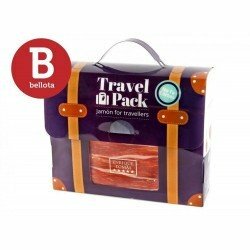 The travel packs are very original packages that we have in two sizes, 1.8 kg. or 3kg. The small package consists of 18 sliced sachets, two sachets of ham cubes, two sachets of ham shavings and one vacuum-packed bone, while the large one contains, instead of 18 sachets, 33 vacuum-packed sliced sachets together with the rest of the products. These packages are perfect to give to friends or family because they have a very original presentation, they are small travel bags. Are you looking for something more complete as a Christmas hamper? Well, Enrique Tomás we have it too. 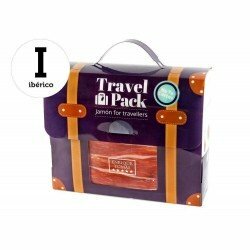 Thanks to our savings packs you will find in a single package ham, wine and Sevillian Breadsticks. 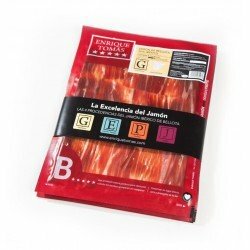 So, now that you know the different packs we have available, choose yours and either enjoy the product “made in Spain” par excellence or give it to your loved ones. I'm sure you will be all amazed.